ha ha! this made me laugh out loud. hey sarah - it's been a minute since i stopped by your blog. any chance you'll be in nova around thanksgiving? i'll be in PA and then working outside DC shortly thereafter. holla. it's decorative gourd season, muthafuckas! Gourds have been banned in my household, since we can't seem to get rid of them until they are moldy and reeking. that one's got a serious case of the french ticklers. 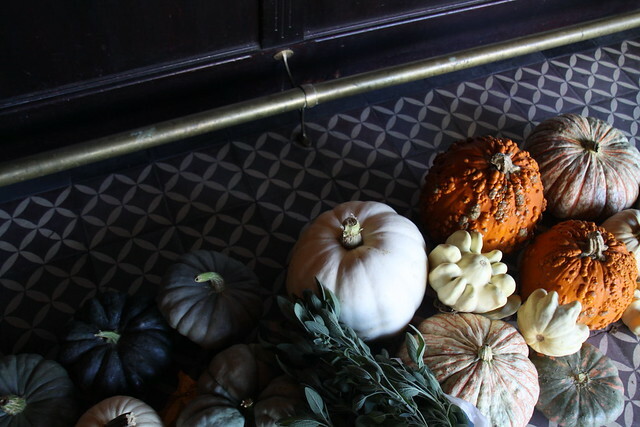 pumpkins and flowers, oh my! i swear our dogs are related. The visit was useful. Content was really very informative. From www.gifts2france.com. These centerpieces are stunning. Fall is gorgeous! Very Good website. I like the contents. From www.gifts4singapore.com. This is Perfect. 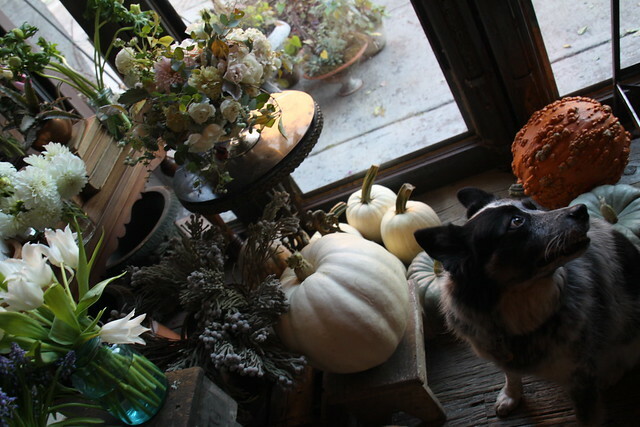 Love the flowers, and LOVE the ugly pumpkins & gourds. might you give me the lowdown on that sweet black and white tile? love it.